Would you be surprised that three Philippine cities are in the top 10 of Time Magazine's "The Selfiest Cities in the World"? Makati and Pasig, clustered in the report as a single area, are ranked as number 1 or the Selfie Capital of the World. According to the study, 258 of every 100,000 people in the 2 cities are considered selfie-takers. 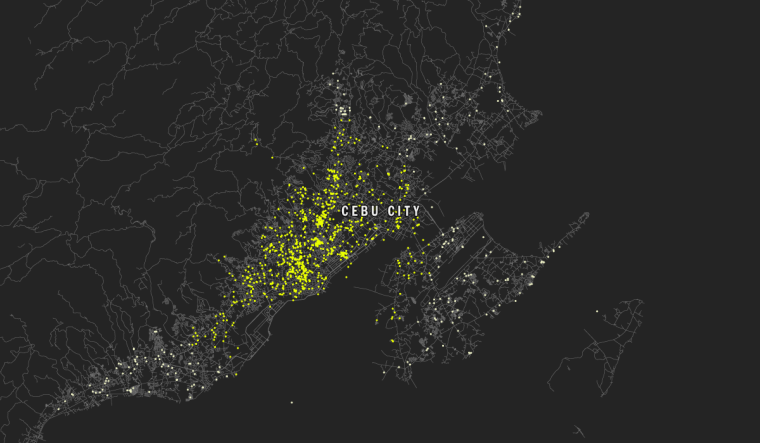 Highly-urbanized city Cebu, on the other hand, is ranked 9th with 99 in every 100,000 persons have posted a photo on Instagram with the tag #selfie. The white dots are where the most selfies are uploaded. The Makati-Pasig area is the Selfie Capital of the World. Photo grabbed from www.time.com. Time kept the ideology simple. They pulled around 400,000 Instagram photos tagged as #selfie to a database from January 28 to February 2 and from March 3 to 7, 2014. All of the photos that were included are indicated with their corresponding geographical coordinates to identify the exact location of where these photos were taken and posted. 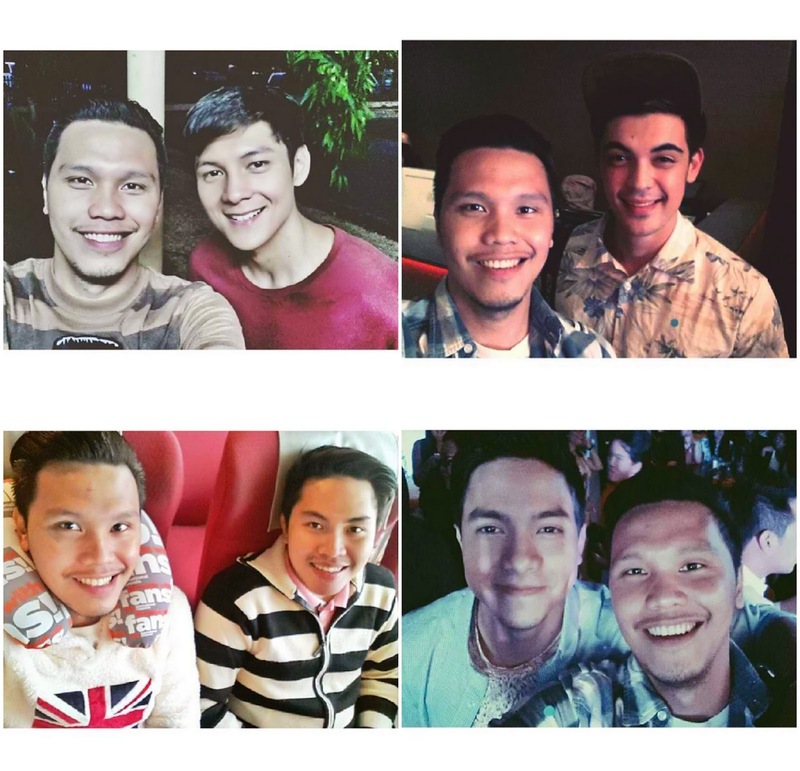 Of the 459 cities included in the database, we can find the most selfie-takers in two of Metro Manila's 14 cities. It appears though that these selfie-takers are posting more than 1 selfie. In Makati and Pasig, 4,155 selfies were posted by 2,915 users who were included in the database. This is also true in Cebu where 1,064 selfies were recorded in the sample from only 787 users. To our friends from these three cities, review your IG accounts as your selfie photos could be part of those surveyed by Time. Other Philippines cities that are among the Top 100 include Baguio (16th- 82 selfie-takers in every 100,000 people), Quezon City (59th- 44 selfie-takers), and Iloilo (72nd- 36 selfie-takers). 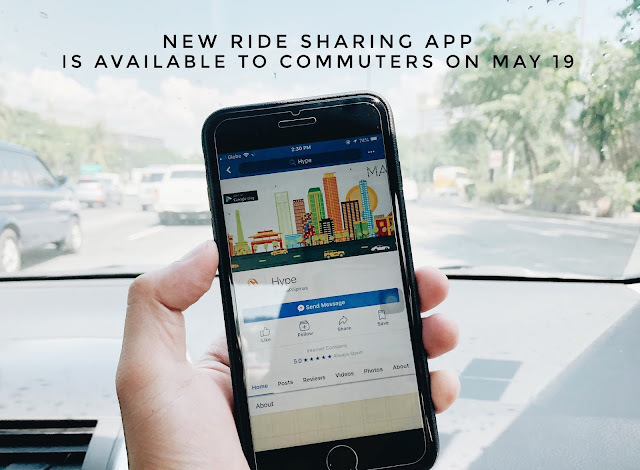 Closely competing with Makati and Pasig for the selfie title is Manhattan in New York (2nd- 202 selfie-takers), Miami, Florida (3rd- 155 selfie-takers), and Anaheim and Santa Ana in California (4th- 147 selfie-takers). 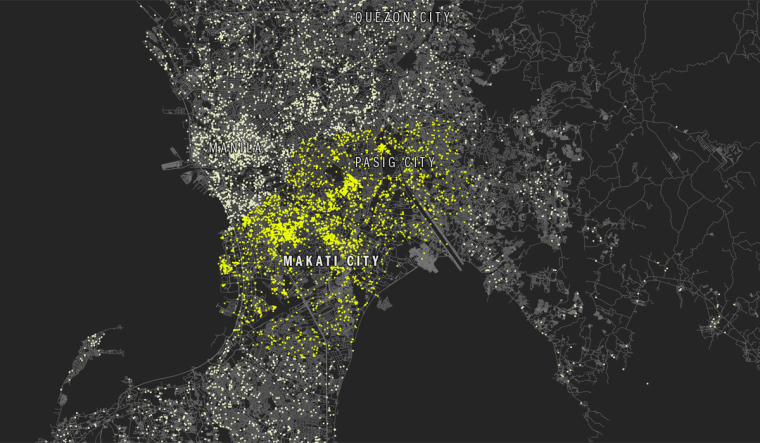 The selfie dots in Makati and Pasig are colored yellow. Check if you uploaded a selfie on Instagram from January 28 to February 2 or from March 3 to 7. If you have, one of those yellow dots could be your selfie. Photo grabbed from www.time.com. Cebuanos certainly know how to take a selfie too. Photo grabbed from www.time.com. You guys have to know that San Fransisco, California, the closest coordinate to Hollywood where the Twitter-crashing Oscar photo of Ellen DeGeneres and other celebrities was taken, is only ranked 11th. Others may find selfies a symbol of narcissism. True, especially if we see more than half of the photos in an Instagram account to be selfies. I believe, however, that most people use Instagram to capture and document important events in their lives. We may stray away from this purpose every once in a while especially if we are bored, we had a new outfit, loved our make-up or we just want to get the attention of our crushes. But just like any other luxuries given to us by modern technology, selfies must be done in moderation. Celebrities do selfies. If they can, everyone can. Right? 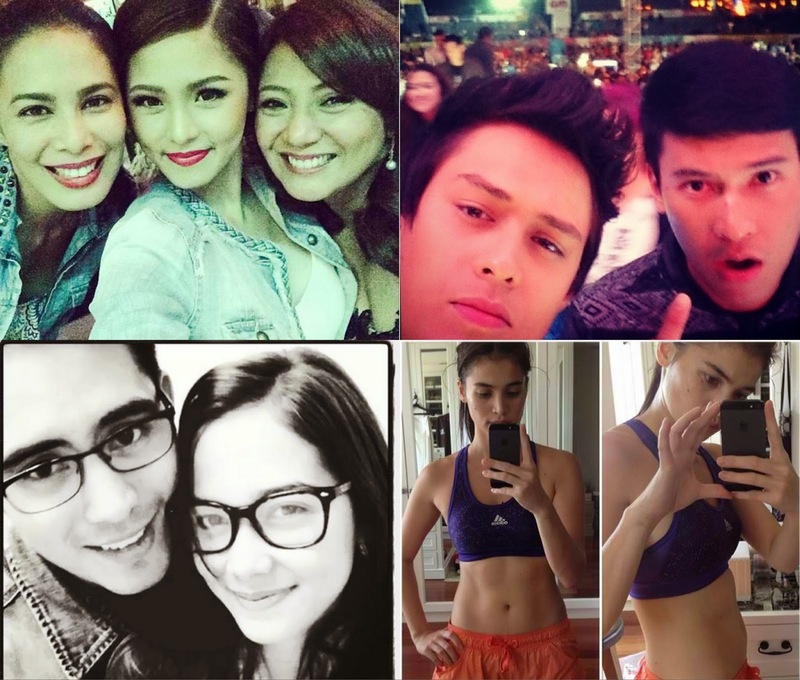 Photos grabbed from Kim Chiu, Enrique Gil, Gerald Anderson and Anne Curtis's Instagram accounts.